Dear readers and followers of this blog, first of all let me wish you all a very Merry Christmas ! I wish I could message each and one of you to wish you all the best, so I am taking advantage of a blog post to do it. I wish you a Christmas of happiness, joy and hope !. Today has been a pretty sunny day here and in the early afternoon I went out to complete some last minute shopping wearing this warm and cozy outfit. I was wearing a deer print sweater I got from Sheinside, it's the classical winter sweater with a modern twist that was so much fun to wear and put me in a Christmas mood !. Cari lettori e follower di questo blog, vorrei innanzitutto augurarvi Buon Natale ! Vorrei poter inviare un messaggio ad ognuno di voi per farvi i miei auguri, così approfitto di un post per farlo. Vi auguro un Natale di felicità, gioia e speranza !. Oggi è stata una giornata soleggiata e nel primo pomeriggio sono uscita a completare alcuni acquisti dell'ultimo minuto indossando questo outfit comodo e caldo. Ho sfoggiato il maglione con gli alci preso da Sheinside, il classico maglione invernale rivisitato in chiave più moderna, un capo molto simpatico che mi ha messa dell'umore giusto per Natale !. I have decided to pair my oversize sweater with some skinny jeans from Cheap Monday and my latest boots purchase, a pair of suede Miu Miu boots ! They are so comfy and the burgundy color is beautiful. You can see the boots better in the pic below !. I have to confess I bought them whilst looking for Christmas presents...in these past days everytime I went out for Christmas shopping I ended up coming back home also with purchases for myself, how bad am I ? :-). Ho deciso di abbinare al mio maglione oversize dei jeans skinny di Cheap Monday e ho indossato il mio ultimo acquisto, un paio di stivali in suede di Miu Miu di un bel colore bordeaux, comodissimi. Potete guardarli meglio nella foto sottostante !. Confesso di averli comprati mentre cercavo dei regali di Natale...in questi giorni ogni volta che sono uscita per gli acquisti di Natale sono tornata a casa anche con acquisti per me stessa, sono incorreggibile :-P.
A hat, a scarf and a pair of gloves are not just something I need when it's cold outside, but accessories I love to wear ! I decided to wear my Gucci grey maxi scarf and as a hat I went for a no brand black wool beret. I added some color with burgundy gloves and my beloved Prada tote. I think this outfit is perfect for Christmas Eve with family and friends, what do you think ?. I think with this outfit I would also make a good Santa helper, LOL !. Un cappello, la sciarpa e un paio di guanti non sono solo necessari per il freddo, sono anche accessori che amo indossare ! Ho scelto di abbinare la maxi sciarpa grigia di Gucci e come cappello ho optato per un basco nero in lana, no brand. Ho aggiunto colore con i guanti in lana burgundy e la mia adorata borsa color ciliegia di Prada. Credo questo sia un outfit perfetto per una vigilia di Natale con amici e parenti, che ne pensate ?. Io credo anche che, vestita così, potrei essere una ottima aiutante per Babbo Natale !. Of course, I was also wearing a jacket, you can see my Moncler duvet jacket above, even tho I have to confess I was warm enough even without it !. If you like my sweater my advice is to take a look at Sheinside because they have plenty of cozy sweaters and the shipment was really quick and safe. 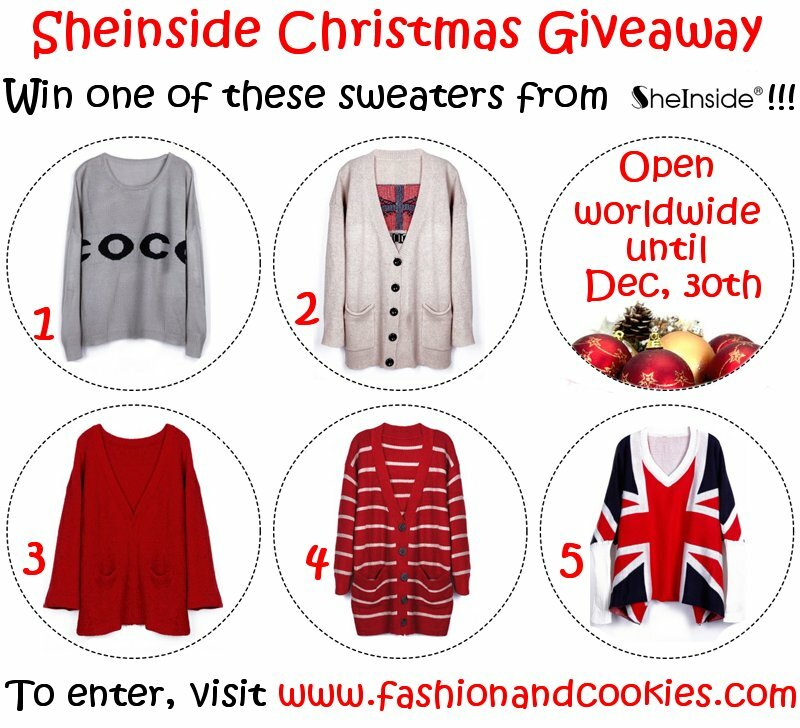 If you haven't already, you should take part in my Sheinside Giveaway because you could win one of the sweaters you see in the poster (you pick the one you prefer), just follow the rules and fill out the form, you find everything you need clicking here ;-) ! This lovely giveaway is open internationally until December 30th !. Good luck and Merry Christmas everyone !. Ovviamente, indossavo anche una giacca, potete vedere il mio piumino Moncler, sebbene mi sentissi già abbastanza al calduccio anche senza ! Se vi piace la mia maglia vi suggerisco di dare un'occhiata a Sheinside perché ce ne sono diverse di molto carine e la spedizione è stata rapida e sicura. Vi ricordo anche il mio giveaway in collaborazione con Sheinside, potreste vincere uno dei maglioni che vedete nel poster (scegliete voi quale), dovete solo seguire le regole e riempire il form, trovate tutto ciò che serve cliccando quì ;-) ! Questo giveaway è aperto fino al 30 dicembre ! Buona fortuna e Buon Natale a tutti !. Very nice winter-ish and festive outfit! I like your sweater a lot! Buon Natale a te carissima! kisses from Milano and merry christmas!! Che bel maglione! :) Buon Natale!! Foto bellissime e outfit carinissimo! Buon Natale cara! 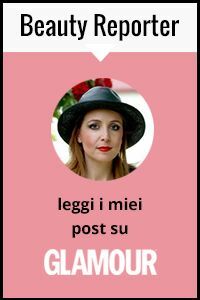 Ti va di diventare follower del mio blog? Io sono già follower del tuo! Maglione carinissimo :) Buon Natale (: Reb, xoxo. Love this sweater! Entered to win! Sei troppo carina con questo look!!! Mi piace la maglia! Buon Natale cara!! Gorgeous outfit! you look so cozy. Auguri carissimi Vale e un sereno Natale di cuore!! che belle le scarpe, me ne sono innamorata! ciao carissima vale! lo si che adoro i bambi ed i cervi? Lovely look! Adore that sweater! Loving your outfit, it's very pretty ! I also like the boots a lot ! Merry Christmas to you too! Love sweater and the burgundy goes so well with it. I wish you all your heart desires in this time of love and warmth! Wooooow!Ma è davvero fantastico questo post!!! JOIN MY INTERNATIONAL GIVEAWAY 30$TO SPEND ON CHICNOVA! lovin the mix of burgundy, the deer print, and how cozy you look!!! I wore a beret last night...so cute on you! beautiful pictures! i love this outfit! che outfit figo! sai che il burgundy lo amo! That is one cute sweater, I love the pattern. Cara Buon Natale! Stai benissimo con questo look, adoro il maglioncino! so what if you bought something for yourself as well? I'm sure you deserve it. That is a great outfit, I like the combination of skinny jeans+ oversized sweater.